Athletes from the Cooroy Gymnastics Club with medals from South East Queensland Gymnastics Senior Regional Championships. Four gymnasts from the Cooroy Gymnastics Club recently travelled to the Gold Coast to compete at the South East Queensland Gymnastics Senior Regional Championships, with all athletes competing on all six apparatus.The trio of Dean Chandler, Lyam Chandler and Finlay Jones had a strong competition with eight podium finishes between them, including two out of three top placings in the all around and a total of three regional championships. 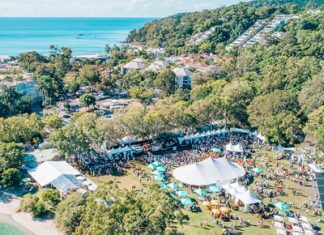 The event hosted almost 250 of the states best gymnasts at the Coomera stadium, which was the venue for the Commonwealth Games. Competition was strong with competitors in all divisions looking for a good result in preparation for this months State Championship Event. Flynn Mackeown had his first senior level competition at the event, competing strongly on all apparatus in the level seven division. He came a very credible sixth place on floor and finished just outside the top ten in the all around. The club had a strong team in the level eight division with three competitors who have experienced some previous success at the senior level. 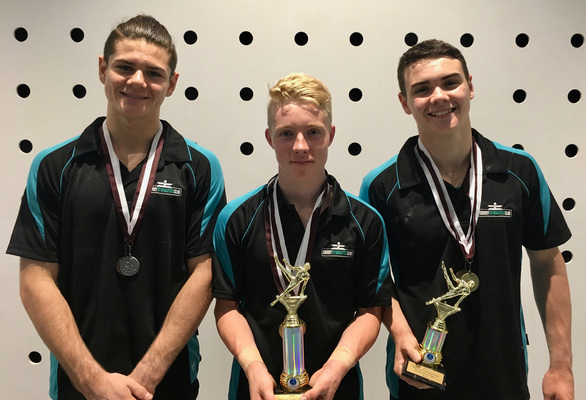 All four gymnasts are now focusing on Queensland Senior State Championships which are held in Brisbane between 11 to 14 April at the Chandler Centre. The gymnasts will be training six days per week focusing on strong clean routines with an on to selection onto the Queensland Team.